(with Launching Bat-Signal Disks!) Infrared Batman has an ultra-violet Bat-Signal disk launcher that keeps criminals at a distance! His infrared suit will deflect any harmful rays that villains shoo. . .
(with Working Parachute for Surprise Attacks!) Throw Sky Dive Batman in the air and watch his silver mylar parachute really work. (with Snap-on Batman Armor!) 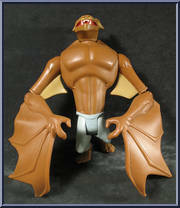 Convert Bruce Wayne to Batman with special snap-on-armor! 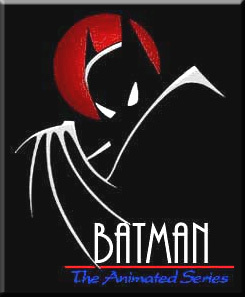 With his powerful hand weapon, Batman can fight off any villain. with Whipping Arm Action and Claw Hook! Look out! 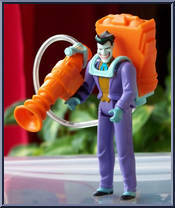 The Joker has a water-spraying "Laughing Gas" gun and a smile mask to create mischief. 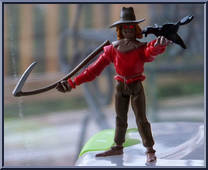 Watch out for Scarecrow with his fierce thrashing sickle that really spins. His light-up eyes give a piercing stare at Batman.